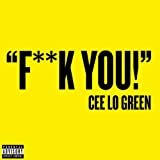 Today’s amazon top 10 has one new entrant F**k You [Explicit] at number 4. It’s actually a pretty good song for a running playlist if you can put up with some foul language. I’m also glad to see Kary Perry continuing to drop lower and lower on the list. She still has 2 songs though, Teenage Dream and California Gurls, so hopefully in a few weeks we won’t have to hear her again. I’ve bolded the songs that would make the cut for a running playlist. 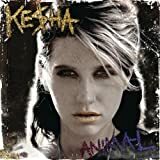 Today’s iTunes top 10 running playlist doesn’t have any new songs. Katy Perry is in #1 with Teenage Dream and Taylor Swift closed the list with Mine . It’s Friday again and it’s time for the running playlist of the week! I’m going to be working you hard this week with this playlist. I built this playlist to pretty much keep you running fast for the entire run with songs with a BPM of 120-150 and even a couple really fast ones at the end going up to 170. I’m a gentle and compassionate person though, so I put in a couple of lower BPM songs in the middle of this running playlist so you can catch your breath. This playlist is just a bit longer than an hour (1:02:51 to be exact), so it should give you a good workout. This week’s 10k running playlist is an interesting one. It has a variety of genres ranging from rock, to heavy metal, to country, to alternative, so you definitely won’t be bored on your jog. We start out slow, almost gloomy with some lower BPM music. This will allow you to start out slowly and not burn out half way through the run. After the first few songs, the BPM picks up and averages at around 135. Toward the end of the run, the BPM average goes up to 154 and that takes you to the finish at a very fast pace. This list is 1:46:53 long, so it’s enough for even the slowest runner (pace for this list is over 17min/mile). If you are faster, you might want to cut this running playlist down and remove some songs so you don’t miss out on the fast ending. We have a much better top 10 list this week at Amazon. Unfortunately, we still have 2 Katy Perry songs in the top 10, but they are losing ground and dropping in the rankings, so there is some hope for a Kary Perry free list sometime in the future. We also have the new Taylor Swift song, Mine , at number 8, which is one of my favorite new songs and a new permanent resident in my personal running playlist. Another great new entrant is Stuck Like Glue . Unfortunatelly, it’s not a great song to add to a running playlist because of its low BPM, but it’s still a fun song to listen to. I’ve bolded the songs that would make the cut for a jogging playlist. We have some strong new entrants to the top 10 this week. Unfortunatelly, Katy Perry is still in number 1 with Teenage Dream , but there is still some hope left in the world sinc Taylor Swift made it in with Mine at number 9.